Many couples who have failed to conceive a child of their own due to medical reasons such as infertility, genetic diseases, and multiple miscarriages can opt for surrogacy in India to welcome the joys of parenthood into their lives. Since financial constraints and legal restrictions in their home countries act as major deterrents for many Westerners, a smooth surrogacy arrangement in India acts as a boon for them. Such people can see a ray of hope in the form of specialist doctors and state-of-the-art surrogacy centers in India, which make the entire procedure hassle-free. Opting for surrogate pregnancy in India also offers commissioning couples a good enough reason to celebrate their forthcoming role as parents by relaxing in the country’s beach resorts, houseboats, and desert camps. The affordable surrogacy package prices in India are one of the biggest criteria that draw a huge numberof intending parents to India. Since in India the entire procedure is available only at a fraction of the costs charged in other parts of the world, it is within the financial means of a multitude of clients from these western countries. The packages usually cover expenses such as the doctor’s fee, lab tests, surrogate’s charges, and post-delivery care of the baby and surrogate. Commercial surrogacy is legally acceptable in India and Indian laws permit the registration of the child under the names of the commissioning parents. The surrogacy clinics under the network of Medical Trip can arrange for preparation of all relevant documents to help carry your baby back home without any legal impediments. Equipped with world-class infrastructure, our network clinics make use of the latest technology to cater to the various medical requirements of the clients. 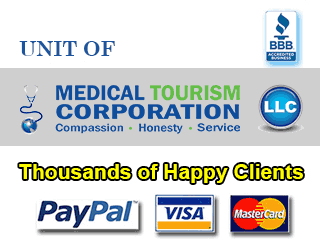 These facilities strictly adhere to the globally accepted rules of service and patient care. The highly skilled and trained doctors in our network are adept at handling international clients since they receive a large number of clients from all over the world every year. Exhaustive and rigorous screening of prospective surrogate mothers is highly practiced in the surrogacy clinics in our network to ensure that only healthy women are selected for the procedure. Why is Cost of Surrogacy in India So Low? The cost of living in India is lower than in the developed countries and this makes it possible for the medical service providers to extend their services at a fraction of the American and European prices. Clients can also save a lot on accommodation, food, and lodging expenses as these are minimally priced. Thus, by choosing to have their baby delivered in India, not only will the clients return home with their bundle of joy, but also wads of dollars saved and innumerable stories to tell of an exotic Asian vacation. Commercial surrogacy in India gifts intended parents with their own child and surrogate mothers with an improved life through the remuneration received from the arrangement. You can choose from an array of options provided by the surrogacy hospitals in India. You will find a number of state-of-the-art facilities offering programs for in-vitro fertilization (IVF) surrogacy in India. In this form of surrogate pregnancy, the embryo created by using the egg and sperm of the genetic parents is transferred into the uterus of the surrogate. In case the intended mother suffers from lack of egg production or any genetic problem to carry a pregnancy to term, low-cost donor egg surrogacy in India would come to the couple’s rescue. Here it needs to be mentioned that if a couple is unwilling to receive eggs from an Indian-origin donor, then it can resort to getting eggs from a donor of its choice. Surrogacy laws vary in different countries and the legal provisions on commercial surrogacy are not available in many countries. In some countries such as Germany, France, Norway, and Italy, surrogacy is prohibited while in various others such as the UK, Canada, and Australia, only altruistic surrogacy is permitted. Surrogacy laws in India are quite flexible when compared to the same in many Western countries. Foreign nationals looking for a surrogacy arrangement in India should come only on a “medical visa”. Only married heterosexual couples can be permitted to avail surrogacy in India. The intended parents would be required to carry a letter certifying that their country’s foreign ministry or embassy approves of surrogacy. The letter should also assure that the baby born through a surrogate mother in India would be allowed entry into the social parents’ home country as their biological child. Make a detailed schedule of your hospital visit and stay while in the country. Do keep extra days in hand, in case you need to extend your trip due to some reason. Do not forget to research well on the best clinics and specialist doctors available in the country. Online reviews from previous clients and references would go a long way in making sure that you end up at the right surrogacy center in India. Establish contact with the clinic’s representatives before deciding to travel. Do not forget to request a quote for the entire service and enquire about any hidden or additional costs. Gather information on the popular tourist sites for a mesmerizing Indian holiday. If you are interested in surrogacy in India, rest assured that your trip would be as smooth as it proved for a number of clients who landed in the country in pursuit of their little one. Seeking surrogacy in New Delhi brought happiness to numerous couples, who with assistance from fertility centers in the city have successfully started a family of their own. A reputed surrogacy hospital in Mumbai has opened up a chain of IVF centers in the city to cater to the multitude of clients hopeful of carrying a baby home through surrogacy in Mumbai, New Delhi and other major Indian cities. If interested, start gearing up for a wonderful journey that would culminate in the fulfillment of your parenthood dreams. It is time you planned how to juggle between the hospital where you plan to avail surrogacy in India, and the myriad activities of idling away in the beachfronts of Mumbai, enjoying the breathtaking views in Mahabaleshwar, and learning about the historical past of Delhi. Submit the free quote request form on the right for more information on Surrogacy in India.